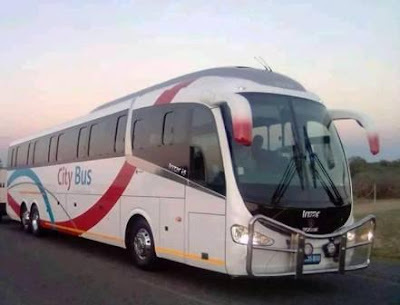 City Bus is a luxury passenger bus company operating from Zimbabwe to Botswana and vice versa. They offer the best way of traveling, affordable and reliable service. They offer a daily services To and From all of their destinations within Zimbabwe and Botswana with a fair prices to all. Their Bus operate in a cross boarder route basically from Zimbabwe To Botswana and Vice versa. 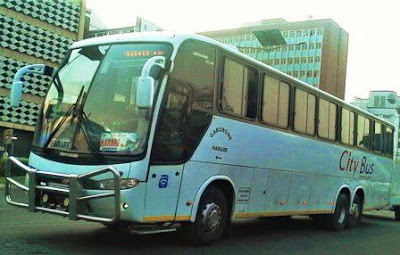 Thought there are other company operating within Zimbabwe To Botswana route but City Bus seem to be the best among all due to their customer reputations to them. They are using a mix of fleet all of them being made by Scania vehicle manufacture with bodies from Irizar and Marcopolo manufacture. All of these fleet are clean and well maintained by the team of mechanical supervisor of City Bus. Their Coaches have 2 by 3 seating arrangement and enough space for your legs. When you travel with City Bus you will enjoy on board entertainment like Television services and good music from their music system. Free WiFi also available on board for you to enjoyu a smart internet all the way long. City Bus company provide Passenger transport services between Zimbabwe and Botswana with daily departure in all two countries. They have stations in all towns where their buses pass to their destinations between those two countries, They also have local routes in Zimbabwe. 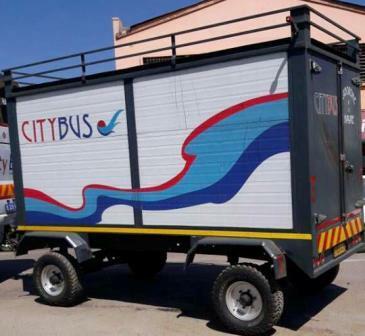 City Bus also provide Parcel Services in all of their routes where their buses are passing through, Their buses have trailer which carry up to 1000kgs. These trailer are used for transporting those Parcels and other baggage of the passengers. Just a reminder, their time schedule is check in 5.00am ,departure 5.30am at Harare Roadport.Mbare departure is 6.30am. Please Note That: These Prices is not permanent, They may be changed at any time depending on the Market situations prevailing at a particular time.